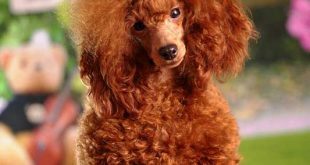 Poodle history, Origin, What were poodles bread for and so many other interesting topics will be covered here in this article. 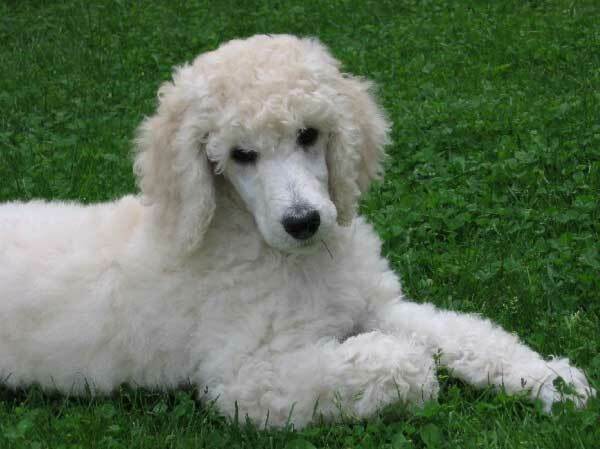 The Standard Poodle is one of the most well-known breeds, as it is in fact one of the first breeds known from the human kind, because their origin goes centuries back into the distant past. A lot of scientists claim that the dog came from Germany. Even though many people think that the breed is just another lap dog, they are all wrong, as in fact, those dogs have in their veins the blood of hard-working sport animals. The name was originally made-up from the German’s words Pudel or Pudelhund, which translated in English comes from the world puddle, which means “to splash about”, as translated from German, Hund in English means “dog”. The breed was strongly appreciated by the French, turning it into the national breed of county. First it was taken to work as a water retriever. Where do Poodles come from? 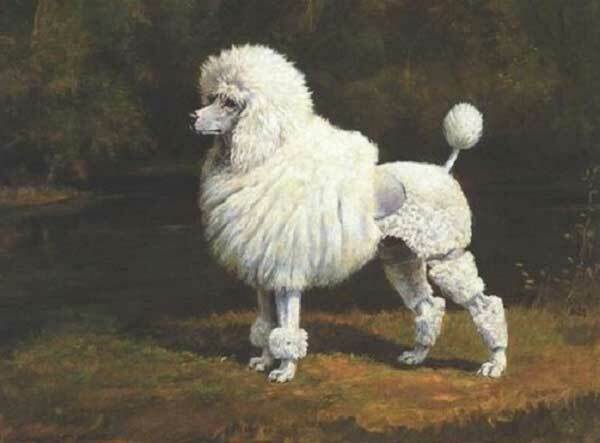 There are still many debates about the real origins of the poodle, as the thesis that has a lot of followers, claims that the Asian herding dog was the poodle’s early ancestor that was taken with the Goths’ tribes to their destination- Germany, where the dog became a hunting breed. Another well spread theory is that the breed’s origin came from Asia, as it came the way to Portugal with the Moors in the 8th century. 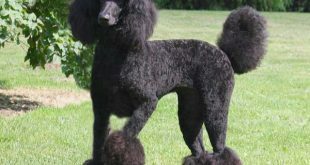 Other belief says that the breed is a mix of many European water dogs, such as a Russian, German, Spanish and others breeds. Another of the many theories is that the dog has a North African Barbet ancestor, which came from the Iberian Peninsula. The confirmed data to this moment is that it was first used as a hunting dog in Gaul many centuries ago. The only information that was confirmed about the origin of the breed is that its ancestors are curly-coated dogs of central Asia. There were also a lot of statements such as poodle’s origins are rough-coated water dogs. Till now, the only thing you can lean on is that one of the real ancestors was the Barbet- curly-coated dog, that has been all around Russia, France and Hungary at that time. The Poodle we are all aware of now, was mostly influenced by the dogs of the German strain. One thing is for sure- the breed is one of the oldest known to the mankind. If you do a small research, you will be surprised that Romans and Egyptians had illustration of a dog similar to the Poodle, many centuries before the new era. Their role in the history was connected with being a hunting dogs. They look very like the “gun dogs „or retrievers, as their coat is water resistant, making them perfect swimmers. The French were fascinated with its duck-hunting qualities, calling the breed “chien canard or caniche,” Although, they were great swimming dogs, they were also used as a military, guide dog, as well as wagon puller and circus performer. Because of the appealing swimming qualities, the breed’s texture and pattern gives answers of the purpose for the dog’s creating. Each of the dog’s known ancestors were good at swimming, as the only exception makes the truffle dog, that never ever had a direct contact with water. The hunting skills of the truffle were discovered in England, as later they were transferred to Germany and France, where they were used for locating the fungus. The breed was perfect for that matter, as their modest size and feet helped them a lot. The ideal truffle hunter is believed to be a mix between the poodle and a terrier. The known sized of the breed to this moment are three- Toy (teacup), Miniature, and Standard. The oldest of them all, according to the American Kennel Club, is the Standard one, and after some time, the breeding continued till the two other sizes were created. Although, the Standard size was the first one, many scientists have proven that the other sized came just after the breed got its fame. The earliest information known about the Toy variety was recorded in the 18th century in England. Even though, the small varieties came afterwards, they quickly became the favorite choice as a lapdog, and soon became the most wanted breed for centuries. The smaller dogs have similar characteristics to their older and bigger brothers. The whole fame of the miniature dogs came from France and the “Poodle clip,”, as the interest of making the breed even more perfect, gathered together the breeders and the poodle fanciers. The breed gained so much fame, that there was a slang term called after it. The term was “poodle-faker,” which means a man who seeks for attention from influential women and companies, in order to get a social status and financial benefit. They were playing the role of charming young men, as a result to gain a trust in those women. The history of the “Poodle clip” had one simple goal- to make the dogs’ swimming skills even more precise and effective. The main purpose behind that was to make the coat of the breed warmer and secure, so that the dogs can go into cold water, without injuring their organs and joints. To help the swim, the coat of the poodles was clipped. A lot of hunters believed that another alternative that will protect the dogs while hunting is leaving puffs of hair, that will go all over the leg joints and tail tip. This, in other hand, became a trend and a lot of circus used to do it before the dog goes out to perform. This could be one of the main reasons why the breed became so popular in France. The Poodle is high associated with French aristocracy. The show ring opened its heart for the breed in the late 19th century, but instead of the common well-brushed coats, the performing dogs had thin tresses or long matted corded coats. Although, the breed looked spectacular, the style was very hard to maintain, as it quickly sank in its early age. Its replacement became the fashionable bouffant style. No matter that in Europe, the interest in the breed was humongous, because in the US, the popularity was very minor. But this didn’t last for long, as in the 30s the breed gained a huge and very successful comeback, being extremely helpful during the WWII in the military service. Now, those dogs are one of the most recognized breeds in the US. The main purpose of these dogs was to be great hunters, but this became old-fashioned, as a lot of breeders tried to get rid of that function. Today, the breed is known to be a show dog or companion. The dog turned out to be extremely social and attached to their owners, which made the breed highly accepted for companion breeding. Now, a very small percentage of the dogs have a hunting/retriever instinct, as they were bred a thousand time, because the breeders’ purpose was to make them perfect performers and friends with the humans. Many people didn’t tolerate the working instincts left in some of the dogs. This became a problem for the people seeking for “cuddle buddies”, as the breed had an active instincts and wanted to do everything, but not giving attention and being spoiled. Preserving those traits, made them the perfect guards and assistants when it comes to military actions occurring harsh conditions. The social traits developed in some of the dogs was all the companion seekers wanted. After getting rid of some of the survival instincts of the dog, the breed became extremely charming and communicative. The attention the dogs wanted now made them extremely attached to people. The traits people looked for in that breed were- calmness, acceptance and tolerance. 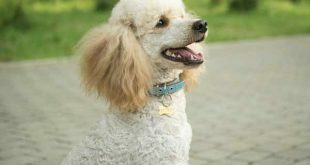 The poodle’s working retriever instincts can still be found today, but this goes to the sense of humor, the agile build and the trick learning aptitude, as well, that shaped the breed and make it perfect. 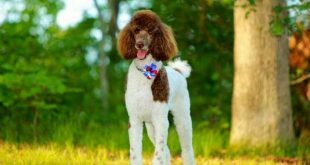 Some people prefer treating the breed as every other- spending time with them and build up a strong relationship, as others are fascinated by the great circus past of the poodle. They are easy learners, as you can teach them basic tricks. One creative dog movements called Musical Canine Freestyle wants to show the potential hidden in every puppy. A spectacular performance remembered by many is that of Sandra Davis and her Border Collie Pepper, where you can see their routine and the amazing relationship between both. The clever performance of some dogs generates interest in the child’s mind. Dogs nowadays are a huge inspiration for many games and movies, as a lot of people are recording their dogs on a daily basis. Showing how smart and talented your buddy is, will demonstrate how amazing is to teach a dog and make its behavior creative. The dog had a long journey to become what it is today. Its performing skills are what make the breed unbelievably astonishing. Being a great entertainer, easy learner and a dog with clearly expressed personality, is one of the best combinations. This is what helped it survive the changes of the time. The long way this breed walked from its beginning till today should be widely respected. One of the most famous poodles was the Moustache, which took part in the Napoleonic wars, as it was awarded with a medal of bravery by Marshall Lannes, and its last moments were in Spain, serving his beloved Grenadiers in combat. The breed is also associated with Marie Antoinette and her passion about poodles. When she was in prison, her poodle used to come to her prison window every day, until Marie was beheaded. A lot of writers used to spend their time away from everyone, but their dogs, as some of them were Quentin Reynolds, Alexander Pope, Alexander Woollcott, Gertrude Stein, as well as the writer of the famous “Travels with Charley”, John Steinbeck, whose story that became a best seller. The breed is a great a companion and loyal buddy to many celebrities, as well as being a star in a lot of productions. Famous people like Jack Lemon, Helen Hayes, Barbara Streisand, Duke Ellington and Joan Crawford also were owners of this marvelous breed. Winston Churchill, which was one of the most well-known people in the past century, had a Poodle by his side, when he had to take hard and important decisions. In 1874, in England, The Kennel Club registered their Poodle in the Poodle fanciers, which performed for the first time two years later. The first recorded information about a Poodle in the US was in 1886, when the American Kennel Club registered their first Poodle. The club dedicated to that breed was founded in 1896, but didn’t succeed. However, the club was reestablished by enthusiasts of the breed in 1931. The breed was very underrated from the Americans until the WWII.In the middle of the 50s, the interest in Poodles became so huge, that it quickly became one of the most popular breeds in the US for more than 20 years.